“Jacob said, ‘O God of my father Abraham and God of my father Isaac…I am not worthy of the least of all the deeds of steadfast love and all the faithfulness that you have shown to your servant, for with only my staff I crossed this Jordan, and now I have become two camps’” (Gen. 32:9-10). Genesis 32 is more proof of Jacob’s slow move from self-reliance to dependence on Yahweh. God used Jacob’s scheming to give him Esau’s birthright (25:29–34; 27:1–29), but Jacob’s deceit did not please Him. 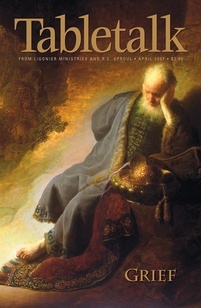 Jacob was once blind to his sin, but now he addresses Esau far more deferentially than his culture required (32:3–5). Clearly, the Spirit is convicting Jacob, and he feels guilty for wronging Esau. Jacob again displays a deepening trust in the Lord in today’s passage. His envoy to Esau returns without news of his older brother’s reply. Only the ominous sign of Esau’s approach with “four hundred men” (v. 6) is reported. Moses does not often describe a person’s emotional state explicitly; thus, the reference to Jacob’s fear and distress emphasizes the dread that has seized him. Jacob divides his clan into two groups so that one may escape if Esau attacks (vv. 7–8). Nehemiah, among other biblical writings, teaches that wise preparation is consistent with faith, though Jacob is likely motivated more by fear than wisdom. Yet Jacob’s prayer reveals his faith is real (32:9–12). Matthew Henry writes, “Acute apprehension of danger may…co-exist with a humble confidence in God’s power and promise.” True faith does not mean fear is wholly absent; our trust in the Lord may be strongest when we fear men but obey God anyway. John Calvin says Jacob’s prayer shows his faith finally conquered his fear. Jacob’s pleas demonstrate his growing consciousness of his need to depend on the Almighty since he confesses his unworthiness (v. 10), “reminds” God of His promises (vv. 9, 12), and appeals to His compassion on women and children (v. 11). Isaac’s son is learning that apart from the Lord, his best efforts are worthless. John Calvin wrote that those who think faith is exempt from fear have had no real experience of living by faith. After all, God nowhere promises that we will not suffer or become afraid in this life. What He does promise is that fear will not prevail and thereby overwhelm us in despair. You can know that your faith is real if in your fear you continue to pray and do the right thing. Confess your fears to the Lord and ask Him to help you overcome them.